· Obtain a copy of the crash report and check that it accurately reflects what actually happened in the accident. · Seek immediate and consistent medical treatment. Follow doctor recommendation regarding follow-up care. Maintain copies of all crash-related medical records. This is the evidence of your injuries that will prove your insurance claim. · Immediately contact your insurance company to notify them of the crash. Do not speculate on the crash and especially not on your injuries. If they ask about your injuries, you can simply respond by saying you do not know the extent of your injuries and are currently seeking medical treatment. · Talk to a personal injury attorney. 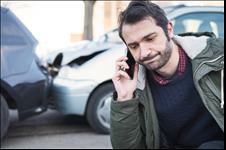 Personal injury attorneys have the experience with these types of claims and with insurance companies to help insure that an insurance company does not take advantage of you when you are in times of need. If you do not have uninsured motorist coverage, you will be limited to your own insurance coverage. Some states have auto medical payments (AMP) coverage which is first-party, “no fault” coverage. Regardless of what state you may be from, check your insurance policy to see what type of first party benefits you have to cover your expenses after an accident.